Okay. I was on my home today. And guess what was on the way. Yup. Goodwill. Now, I don't really "need" anything...y'all know I find stuff left and right. But a girl's always curious about what is out there to be seen, adopted, and/or refurbished, right? Good...we're on the same page. So, I was going to skip Goodwill altogether. But then the voice of reason kicked in. "I'm already on this side of town. It's right on the way. I won't have to waste gas on a separate trip." Yada. Yada. Yada. Since I always listen to the voice of reason, I turned on my signal and took the exit. After parking, I scampered into the store (isn't that how everyone enters Goodwill?). I started on my usual Goodwill shopping route (Y'all have one, don't you?). Skipped the jewelry section, glanced around the vintage knick-knack section, and went over to the antique-y lamp & odd finds section. Nothing. Nothing. Nothing. And THEN...I saw a great backpack...it was a really nice one...for hiking. But I don't plan to go hiking in the mountains any time soon. Darn. Oh, there's a couple more backpacks. Another hiking one. Um...yeah...not really workin' for me. BUT WAIT! What's that third backpack? Does that say Lowepro on it? 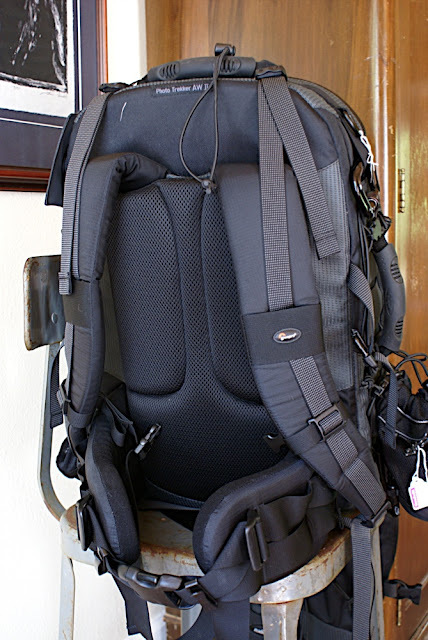 As in Lowepro camera bags? Why, yes it does!! 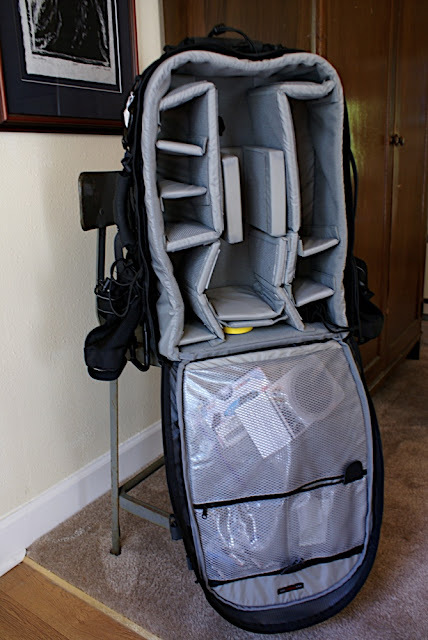 As an owner of four smaller Lowepro bags for my camera stuff, I knew this was a quality piece. AND I have been needing a larger camera bag for all of my gear. Marked at 19.99, I was sure I was getting a deal. I grabbed it quick as can be and threw it in my cart! The lesson? Never skip Goodwill if it's on your way home. I love my Lowepro rolling bag...saved my sanity at many a wedding shoot....smiles. OMG! That is so awesome!! What a score! Great find, good thing you listened to your inner voice. The show is Jersey Couture. That family is too funny. yes, gotta love goodwill - I live down the street from goodwill in my little corner of the world - so often, its on my way home (plus I can walk there if I need a mid-afternoon break!) its amazing what you can find - you hit the jackpot! and you're right - one does scamper into the store! Ohhhhh, I love the Goodwill.... but not as much as I love a good deal! Nice! what a fabulous score!!! and a wonderful lesson to be learned. i will always top at goodwill from now on. My hubs loves that I love GW..
(he really enjoys the Jerry Garcia Ties..
plus we are helping keep folks employed! It looks brand new, what was the person thinking to get rid of it? I wonder if it was a marital spat and out of anger maybe the wife or husband thought this would sting a little! Ouch, well good for you! That is such an awesome find! I can't believe the things people get rid of. What a wonderful find!! I love goodwill...hmmm, I may just have to wander over there after a few hours of cleaning! you must have a really great camera to have all the need for those compartments! how handy that will be!! Great find! See those kinda of deals is what makes me keep going back! You've inspired me. My sister and I have been meaning to make a Good will run recently. Need to do it. What a great find! Awesome for you, Amy. I'm tickled that you got it. Ahahahahaha. I'm still laughing from the Booty pop...pop...pop. What a great score. Wow! 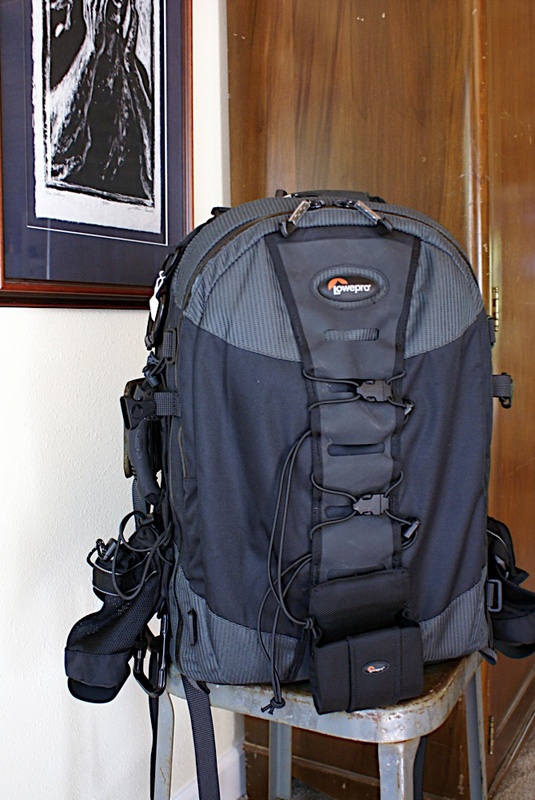 I have two Lowepro camera bags. They're awesome and I don't even want to mention what I paid for them! Good going! Wowzers!! What a fabulous find!! Good for you!! You are a lucky girl! Enjoy that score! Great find! It PAYS to be a GOOD LISTENER!!! I cannot believe that you got that for $20! What a steal!! !